In collaboration with Hilton, SweetRush won top honors in the Excellence in Technology Innovation category. San Francisco, Calif., October 8 — At Chief Learning Officer’s (CLO) Fall Symposium on October 2, Hilton’s Business Immersion Virtual Reality Learning Program (BIVR), developed by SweetRush in collaboration with Hilton, won the Gold Award in recognition of its inventive use of virtual reality for learning. Hilton needed a way for corporate team members to develop empathy for the hard work done by hotel team members every day, and virtual reality proved to be the perfect solution to this challenge. The virtual reality program features both 360-degree video and 3D avatars and environments. The video-based hotel tour was developed using SweetRush’s proprietary Scene Studio technology, and its hands-on interactive experiences required extensive 3D development. SweetRush is now offering a full-day virtual reality workshop, as well as developing tools, to facilitate VR development. 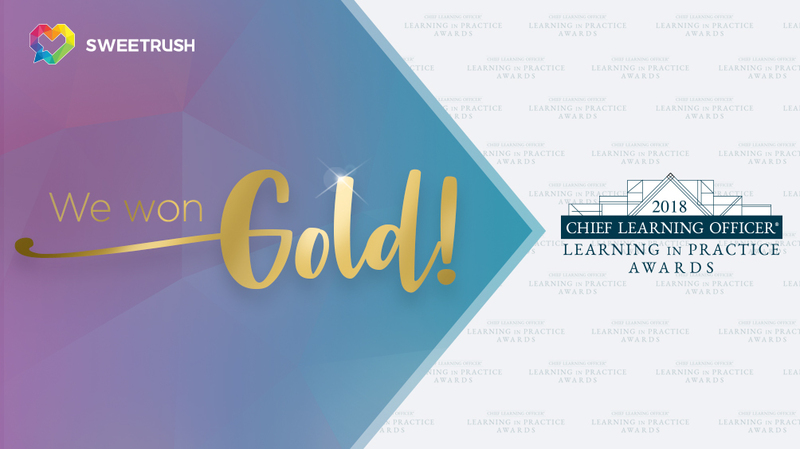 You can find the complete list of 2018 CLO Learning in Practice winners, listed by category, on CLO’s website.